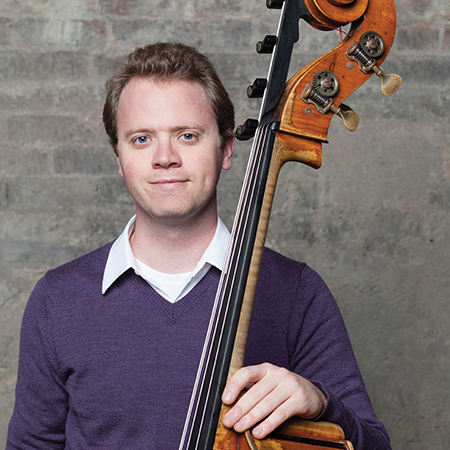 Originally from Albuquerque, New Mexico, Dylan Palmer* joined the Vancouver Symphony as Principal Double Bass in January, 2010. Prior to joining the VSO, Dylan was a member of the New World Symphony, in Miami Beach, Florida. Dylan has participated in the Spoleto (USA), Domaine Forget, and Sarasota music festivals and has also attended Tanglewood Music Center in 2005 and 2008, where he performed with the Boston Symphony Orchestra as a fellow. He received his Bachelor of Music degree from the University Of North Texas, where he studied with pedagogue Jeff Bradetich.